Workzone Traffic Control offers Traffic Management solutions that ensures quality, reliability, flexibility and importantly create a safe environment for all event, road and emergency works in South Australia. Traffic Management Planning, sign hire & sign sales are also available. 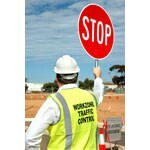 Workzone Traffic Control is a proudly South Australian owned company.